I laud the Republican effort in the House to repeal the new health care law, not because it will succeed directly, but because it will rekindle the debate about how we balance the needs of the uninsured, share the costs, and allocate the control of health care in the U.S.
Everybody knows the old system was a patchwork improvisation which developed over 50 years. We’ve adjusted to it over time, but it really isn’t serving us well with constantly escalating prices and 30 million uncovered. I do not pretend to know how to fix what ails the system, but I assume the new law is a mess of regulations which must be shaped by experience. I see the health care debate now entering a new and hopefully more realistic phase of negotiation between insurance companies, big business interests, small business advocates, doctors, and patients mediated by government. Health coverage will gradually be worked out over several years with the 2012 election affecting the negotiations. We will have theater in Congress, but the real action will be the haggling over the regulations and finding out how the insurance exchanges work in practice. The new law may be horrible or it may not be half bad. In 12 to 18 months, after hundreds of wrestling matches in private, we’ll have a better idea of what works. Question: Are you hopeful about the outcome of the debate, or will Obamacare simply be a disaster? Obamacare is the second biggest joke he did, the first was being President ! Seriously, simply put health insurance in the hands of people, like car insurance. A few things, competition will work, people will be involved in what mandates they buy, and consumers will force efficiency. Competition will drive new innovation of health care models and this will lower costs. People have the choice to buy or not to buy, there call, what methods of care will people use to provide there own health care is up to them, if they choose not to buy health insurance, there choice. If the government wants to help, give a tax credit if you have health insurance, otherwise the government should stay out of this, they can regulate elsewhere not here! The USA has the best health care system in the world. That’s why people from other countries come here for medical care. Our existing system is not perfect, but why would you blow up the best healthcare system for 10% of the population? Yes, we need to make some reforms: portability, cost management, etc. Yes, we need to find a way to cover those who don’t have insurance. A voucher system could be created for the uninsured with serious medical conditions. But we can’t expect the taxpayers to pay for every sniffle for everyone in the entire country. ObamaCare is a monster that will rob patients and doctors of the freedom to choose, put bureaucrats in charge of your heath care, rob the taxpayers, and bankrupt the nation. We can’t afford it, and we do not want to give up our freedom of choice in deciding our personal health care issues. Keep the pressure on your US Senators to repeal this disaster, and start over. It is a mistake to call it Obamacare. The system that congress voted in is modelled after the system put in place a few years ago here in Massachusetts, by the then Republican governor, and 2012 presidential hopeful, Mitt Romney. The system in both cases is a sellout to the insurance lobby. It is a method of providing healthcare that forces people to buy inadequate insurance at exhorbitant rates while guaranteeing that the insurance companies make windfall profits while denying or delaying care that should be provided. The system also raises taxes on everyone who works for a living to pay for the insurance for those who can’t or won’t work. Forced insurance merely allows the insurance companies to sell their products at artificially high rates, while not addressing the problem with uninsured individuals and families. The government should have a last resort choice which provides basic health care for those who cannot afford it for whatever reason. If you decide not to have insurance, or can’t afford it, then get in line… and wait for the free stuff. Otherwise buy your healthcare from providers at the going rate, or buy insurance from the carrier of your choice, and have those carriers compete for your business… rather than be awarded business as part of a government managed monopoly…. Amen Jim Georges!!! I keep a pocket copy of the Declaration of Independence, and the United States Constitution on my desk. And no matter how much I read it, I still can’t find ANY WHERE were government is to provide healthcare… nor farm subsidies… or care for the elderly…. or mentally challenged…. or AMTRAK…. or social security… medicare… or FEMA… and on and on… (sigh)… This country was founded upon the freedom FROM government – not bigger government. Our founding fathers wouldn’t believe what we’ve become… Funny how so many people have forgotten this – which is also due to “government-run education.” No health care, no tax credits, PERIOD. If it violates the Constitution, we don’t need it. It is stylish to bash or blame government for all of our woes, especially now with a black President named Barack Hussein Obama. Remember we are the government, those are Americans, educated in America voted for by Americans, this is a reflection of us. Have we not learned what happens when we fail to study and understand problems thoroughly before having such strong positions and reacting to hyperbole? A moral hazard (defines an unaccepotable condition for issuing insurance coverage) is created by the very existence of any profit tied to who lives, dies or receives treatment. Ironically, ours is the only system built on this violation of widely held insurance ethics and laws, witness the results. The most effective way to cover pre-existing conditions and have the lowest cost per covered is to have the largest single pool. If the private market is so efficient why are the other industrialized nations able to negotiate lower drug prices from U.S pharma? (and enjoy better results and innovation for a fraction of what we pay.) As we sit in 37th place in the global healthcare quality rankings and have a nice strong lead in cost per citizen we can continue to pound our chests and claim to be #1, maybe if we just say it enough it will become true? 1. Why do you “assume the new law is a mess of regulations”? What is the assumption based on? 2. You probably are aware that the top strategy of the Republican party after President Obama was elected was to deny him a healthcare bill, in order that the Republicans could take back the Whitehouse in the next election. Therefore there was NO negotiating by the minority party with the party in majority. No concern for solving the problem which, as you stated, was a patchwork of 50 years of bills and regulations. So what makes you think that there will be serious negotiations now? Obamacare is going to be a disaster for the USA. We have states that will be going Bankrupt and where will that money come from? The current debate can result in nothing worse and more costly than what we had before. Why all the barking dogs? What is wrong for you paying for something you choose to buy? I see no downside, only upside. The 4-7% of the population that truly needs help we help, simple as that. Our problem is 30-40% think they need help, that is wrong. Ask not what your country can do for you, ask what you can do for your country. We have the right, and I agree to either wear a helmut or not on a motorcyle, however, I don’t think all Amercan’s should pay when I crash. People are responsible for themselves, not government. People should pay for there insurance if they want it, competition will drive pricing down. The government, again, should give people a credit on there taxes if they have insurance, this is simple! We can start this on Monday, let’s get er’ done! Are you so sure the uninsured want insurance? I don’t have insurance and am happy about it. I have never been to the doc much, and when I really need it, I simply pay for it. So, if I get cancer, mortgage the house? That should be my choice and NOT any one elses! So far the cost of going to the doctor has been monumentally cheaper than buying insurance…go figure. The insurance companies are there to make money, not for the good of all people! We have the best health care in the world in USA. Let’s not mess it up with govt. I want to wait and see if this program works out. If it fails, then it can still be overturned later. I’d like to see how it works out. I do know that my premiums have more than tripled in the last 10 years for the policy I’ve had for 16 years….I know some of the increase has to do with aging, but not that much. Today with my wife having acquired a problem that is a pre-existing condition 7 years ago, we no longer qualify for a new plan. Therefore, I’m looking forward to being able to purchase a new plan under this new system. I vote that we wait and see how this new healthcare system works out before we throw that baby out. Let’s see…………..it’s Unconstitutional. It’s rationed socialized medicine which has always been a miserable failure since the beginning of the dirt. Our “great leaders” in Washington don’t want it for themselves and their families. They refuse to limit medical liability (which would make health insurance a great deal more affordable for everyone) because when they get kicked out of office, they may have to start “lawyering” again. None of them read the bill before they voted for it (all of them should be fired) – “We have to vote for the bill so we can see what’s in it.” NOBODY read the bill, and Pelosi admits that no one in the Legislature knew what was in it. So here’s one for you Lloyd………….riddle me this – who wrote the damn thing?????? Obama and his health care bill are pathetic at best. By using the term ‘ObamaCare’ you have officially aligned yourself with the trash-talk and gullibility of the current batch of wierdos, wackos, wingnuts and witches that are the noisiest right or the political spectrum. For me, I do not wish to be the recipient of any email or commentary from people of your ilk. Please delete me from your distribution. Go home and take a cold shower. Try to get the sleepy stuff out of your eyes so you can open them and see what’s really going on around you. With the Democrats in charge of the senate and a Democrat in the White House, little will happen in the next two years other than a lot of posturing by the Republicans in the house. The healthcare plan will continue to unfold, pretty much as planned, with maybe a few changes, such as the 1099 issue, but little else. As it unfolds people will like many provisions, such as the extended coverage for children and credits for small businesses, and it will be impossible to repeal the entire law. With an improving economy and less hand wringing about the healthcare legislation, the President has a good chance for re-election. The legislature will swing back toward parity between the parties. This will moderate any attempts for a major change to the law and it will continue to employ through the President’s second term. As a small business owner whose largest expense, other than salaries, is health care insurance premiums, I’m willing to let the legislation run its course. The current system isn’t sustainable. Reading the comments that this is about the insured paying for insurance for people that are out of work or lazy, or that, you should be able to remain uninsured if you want is the talk of plain fools. Many people that are uninsured or underinsured work every day; some of them are business people trying to make a living as a single-employee owner. The lack of affordable insurance options or universal insurance ACTUALLY stifles business in the U.S. Many people that would be capable of running or owning their own business don’t because they are afraid of what may happen to their family or the businss if they got sick (and did not have adequate insurance coverage). I know many highly skilled/talented people in their late 40’s and 50’s that are basically holding onto the position that they have because it offers health insurance. Forget about what Obamacare is going to cost business — the lack of Obamacare is hurting the competitive position of the U.S.
Not buying insurance for yourself is also dumb and is costing me a lot of money as well. If you don’t have insurance and don’t think you will ever need it, tells me that you are under 40 years old. If you survive past 40, you are going to need significant healthcare — guaranteed, and you will not be able to pay for it. Any insurance, whether it is for a car, house, life or for healthcare, only works by understanding the underlying statistics — most of the costs of all insurance are absorbed by the people that don’t need it. You cannot create low-cost healthcare for anyone if you can’t include healthy people — and as I said above, everyone at one point will need healthcare insurance and they will benefit as well from the process. It is also foolish to believe that the U.S. has the best healthcare system in the world. While people do come to the U.S. for healthcare, that is not proof of anything. I know many people that have gone overseas and even to 3rd world countries like Mexico and the Phillipines to get health care. Survival rates, cure rates, infant mortality rates, lifespans — all measures of the health and care of a country’s citizens is much better in many countries when compared to the U.S. And in those comparisons, the U.S. is getting worse each year, not better. I think many of the posters here have great points. I think it ultimately comes down to two factors – the cost of the actual care and the lack of competition. The lack of competition I believe is the largest contributor to sky high costs. It will be interesting to see what happens when the exchanges kick in. You’ve pretty much decided Obamacare is a train wreck, and you’re asking us to judge how bad. I don’t agree. Look at the figures. We currently spend more on healthcare than any other country – and by a lot. According to OECD, 53% more than second place Norway and almost 145% more than Great Britain. And what do we get for this?…we rank 31st in life expectancy according to the UN (42nd according to the CIA World Fact Book), and 33rd in infant mortality (46th in the CIA World Fact Book). And when an acute condition becomes chronic, we can count on our health insurance providers to drop us. Free enterprise hasn’t done very well by us when it comes to healthcare. 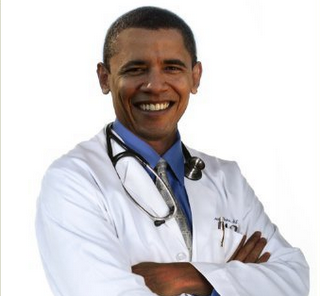 Obamacare may not be perfect, but it’s a big step in the right direction. And the debate you ask about?…why should we expect anything different from all other debates that take place in Congress. The GOP wants repeal; the Dems want to preserve it. Both for political reasons, not for the good of the public. Looking for a train wreck?…you’ll find it in Congress. I find it laughable that the person who rebutted my earlier comments immediately called me a nut job, just because I used the term “obamacare”. That is a very common term for obama’s health care legislation. It might surprise that person that I am a registered democrat……it so happens that many of us Dems are not fond of the obamacare bill or obama. Also not surprised this person did not identitify himself….what a coward. I have no hope for “Obamacare” as it was written. I believe that it must be totally repealed, and we have to start over. I think we have to get congress to work at modifying our current system to deal with its shortcomings. We can only hope that this can be accomplished over time. I personally think that it is going to be a long messy process that in the end will still leave a lot to be desired, and will still be far from perfect.